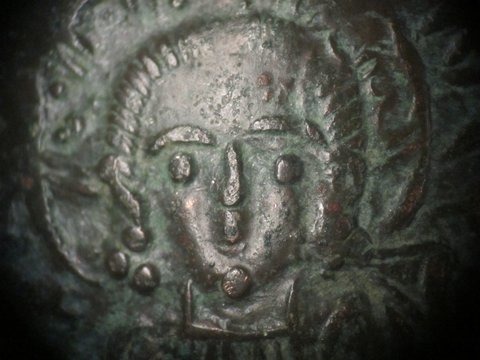 [This] face of Christ, minted in a quite common Byzantine coin of Manuel I (1143-1180 AD) is clearly different from the much more popular TS-like face of many Byzantine coins of these centuries. It shows short hair, no beard and a strange sign, a bubble on the chin bottom. Can someone give me more information on this face? In particular I ask for a similar image from a fresco or an icon of this period showing a face of Christ having the same featuires. I also ask for an explanation of the bubble on the chin bottom (it is not a defect because it also appears in other different coins). Thank you in advance. Best regards. Fox News has done a great deal to promote Reza Aslan’s new book, “Zealot: The Life and Times of Jesus of Nazareth.” How so? An interview conducted by Lauren Green on FoxNews.com managed to so thoroughly insult and trash Aslan’s motives in writing the book that the whole world is clicking on the tete-a-tete. The Fox News interview is available on many sites The YouTube version (below) has had over two million viewings in just two days. Cable and online excerpts extend bits of the interview to several more million people. Erik Wemple prepared a transcript of the interview, which I enjoyed better than the video – but you have to see at least some of the video. This has to be the stupidest television interview ever. 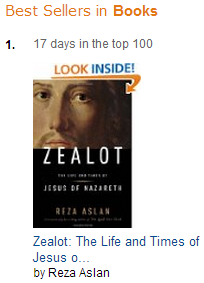 Right now, thanks in large measure to the interview, Zealot is the number 1 best seller on Amazon. That is simply unbelievable for a scholarly historical book about Jesus – come to think of it scholarly or historical about anyone. The book is also, as of a few minutes ago, number 1 on the New York Times non-fiction list. It is sold out in many retail stores. Amazon is requiring extra days for handling and shipping. Your best bet may be Kindle or, if you like to listen to books, Audible. 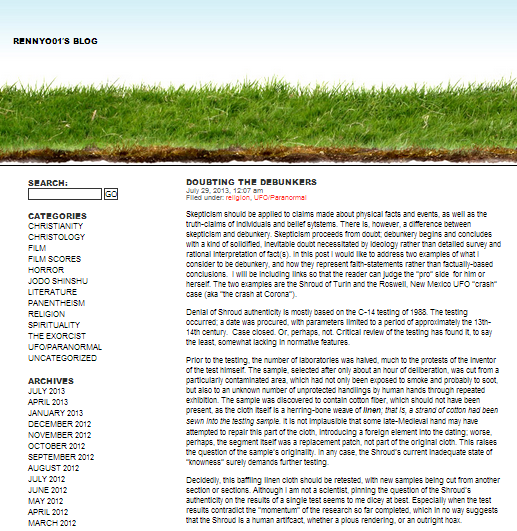 I just did a scan of the book at Google books. Although Jesus’ burial and tomb are discussed, there is no mention of the shroud – not that I expected it. Did I completely miss any mention of this new video by Simon Brown that appeared on YouTube in May? I’ve mentioned other videos from Brown such as New Video on the Sudarium of Oveido in April of this year and MUST SEE: The Evidence and The True Face of The Shroud in April of 2011. As stated above by our brother James (the half brother of Jesus Christ) this scripture conveys the profound truth that God the Father has truly given us the greatest gift from above, His only begotten Son; who not only lived a perfect and sinless life but also paid for all of our sins. He has made it possible for all those who believe on Him and turn away from their sins, follow Him and be covered by His mercy, grace and love, so that they may inherit eternal life with Christ. Just as I consider The Shroud of Turin to be a gift from God above, I believe it establishes scientific and historical proof of the reliability of the Bible and also perhaps—just for the sceptics’ and doubting Thomas’s—the supernatural evidence of God’s love for humans. This Shroud gives us physical evidence of the death of His only begotten Son, Jesus—by crucifixion—the recorded graphic detail of a supernatural picture of His pain and suffering He endured on the cross. The image on the shroud reveals the torture of the forty lashes, shows us the scars and pierced body, and the painful puncture wounds from the crown of thorns which pierced His head. It shows us His plucked out beard and records His humiliation by the Romans, who punched and bruised His swollen cheek bones. It shows His pain from carrying His own cross, which can be seen by the damaged knee from falling. It shows His agony from the blood shed of His pierced hands and feet, that bears silent witness to the horror of the cross. It bears the spear wound in His side, and yes, the ultimate triumph of the Resurrection of Jesus (Yeshua) meaning Salvation. All this is recorded supernaturally on The Shroud of Turin. Abstract: Marilyn R. Waldman Award for best essay by an undergraduate: Tamira Stephens, “Media Discourse and the Shroud of Turin,” in Michael McVicar’s Comp St 651, Religion and Media, Spring 2012. While we may never fully know, it is an intriguing thought experiment to try to imagine how the Shroud of Turin would be understood today without the media’s involvement. As we can conceive of the Shroud as a medium in and of itself thanks to the theories posited by McLuhan, and certain belief in and about the Shroud as being improbably without the advent of evolving technology thanks to Sconce, it is quite impossible to tease these relationships apart. The Shroud and the media are forever intertwined, and it is quite likely that without the media and their messages about the Shroud, this fascinating relic-along with the belief that the Shroud is the authentic burial cloth of Christ-would not exist as it does today. It is definitely worth your time. Right? Wrong? Or do we continue to blame the media? The Shroud of Turin and C14: Case closed. Or, perhaps, not. Skepticism should be applied to claims made about physical facts and events, as well as the truth-claims of individuals and belief sytstems. There is, however, a difference between skepticism and debunkery. Skepticism proceeds from doubt; debunkery begins and concludes with a kind of solidified, inevitable doubt necessitated by ideology rather than detailed survey and rational interpretation of fact(s). In this post I would like to address two examples of what I consider to be debunkery, and how they represent faith-statements rather than factually-based conclusions. I will be including links so that the reader can judge the “pro” side for him or herself. The two examples are the Shroud of Turin and the Roswell, New Mexico UFO “crash” case (aka “the crash at Corona”). Denial of Shroud authenticity is mostly based on the C-14 testing of 1988. The testing occurred; a date was procured, with parameters limited to a period of approximately the 13th-14th century. Case closed. Or, perhaps, not. Critical review of the testing has found it, to say the least, somewhat lacking in normative features. (Note: You may click on the picture to enlarge it). On this picture, you can see two very precise imprints of scourge marks (the quality of these bloody imprints is very good) that are located at about 13.3 mm and 17.6 mm from the border of an evident post-mortem blood flow in the lower back region. First, I want to categorically stated this: Pellicori and Miller made a very good study of the UV fluorescence photos of the Shroud that were taken in Turin by STURP in 1978 and they were clear about the fact that almost every single scourge mark on the cloth was showing an halo of clear serum around them. Among other things, this observation can be seen as a very solid indicator that all the scourge marks on the cloth were caused by the same blood transfer process. Because almost all the scourge marks are showing the same precise dumbbell-like shape, the same presence of halos of serum around them, the same color, etc., there is no good reason to think that these scourge marks on the Shroud were caused by more than one single blood transfer process. Also, it is important to understand that the blood flows that we see below the side wound and the numerous blood flows that we see in the lower back region in the dorsal part of the Shroud have been caused by the post-mortem blood (probably mixed with a clear liquid) that came out after the lance blow to the chest and before any possible washing of the body. Finally, it’s important to understand that these post-mortem blood flows eventually came down on the rib cage and across the lower back region and that such a post-mortem bleeding was considered to be unclean by the Jewish Law and therefore, could not be washed away during the burial procedure. These facts are very important to consider for my challenge. Barbet, Adler, Lavoie and others medical experts concluded that these scourge marks were caused by a transfer of exudates of still moistened (Adler and Lavoie) or re-moistened (Barbet) blood clots on the cloth by a direct contact between the corpse and the Shroud during the burial procedure, while others, like Zugibe that we just see, believed these particular stains were caused by a partial washing of the Shroud man’s body (especially in all the areas where we see some scourge marks on the cloth, i.e. the chest, the back, the buttocks and the legs). So, if Zugibe was right, that would mean that the rapid washing of a portion of the body would have included the area immediately adjacent to the numerous post-mortem blood flows in the lower back region of the Shroud man that we can see on the picture below, because in this zone, there are a number of evident scourge marks, including the ones I pointed out with a black arrow, which are located at about 13.3 mm and 17.6 mm from the border of one of these post-mortem blood flows (note again that these blood flows were considered unclean and cannot have been washed during the burial procedure). Again, if Zugibe’s hypothesis was right, that mean the rapid washing would have included the immediate region surrounding the post-mortem blood flows on the lower back, because we can see many scourge marks in this area that are very close to these blood flows. Seriously, does that sound credible and rational to you in the context of a Jewish burial that would have been done in a way to prevent any disturbance of the post-mortem blood that was still present on the corpse because it was considered impure by the Jewish Law? One thing’s for sure: Not for me! This idea of a very precise (almost surgical) washing in this zone is quite simply ludicrous to me. And if you think otherwise, then you will have to rationally explain to me how a rapid and partial washing done in haste could have been performed so precisely that it was able to remove the supposed dried blood clots that were covering all the scourge wounds, including those that are located at about 13.3 mm and 17.6 mm from the border of a post-mortem blood flow (see picture below) without touching and disturbing this particular post-mortem blood flow? Also, you will have to rationally explain to me why someone performing such a rapid and partial washing would have dare to wash the immediate surrounding area where there were some important post-mortem blood flows that had, legally, to stay on the skin of the Shroud man (up to just 1 or 2 cm away from one of those post-mortem blood flows)? Why taking such a risk of breaking the Law for a washing of the body that would have been only partially done anyway? In the end, when we use the Occam’s razor principle while considering the presence of these scourge marks in the immediate vicinity of some post-mortem blood flows, along with the finding of evident traces of dirt in the region of the knees where there are some scourge marks, I think it’s fair to say that my own hypothesis can offer an explanation that is far more credible, rational and easy to believe than the one proposed by Zugibe. Note that I don’t say this because I think I’m better than anyone else. No. In fact, I only say this because I truly and honestly believe my hypothesis is much more rational, especially when we take into accounts the important facts I just gave you. Final note: If you don’t agree with me and want to give me a rational explanation for the presence of some scourge marks in the vicinity of a post-mortem blood flow in the lower back region and the presence of some scourge marks in the knee area where there was traces of dirt, in the context of a partial and rapid washing of the body during the burial procedure, fine! I want to hear your thoughts. But I just hope you won’t use wild speculations to do so! Remember that Occam’s razor hate wild speculations! And the problem is a four-pedal loom? Fulbright has succeeded in rebutting some claims in the popular press that asserted that such a larger cloth as the Shroud was impossible before modern times. But nothing more. And this is to use a sledgehammer to crack nuts. The examples she provide are well known by experts in Middle East history. No surprise. Some experts had said the Shroud fabric is not possible in the Palestine of the 1rst Century for different reasons. There is universal consensus between sindonists and no sindonists: to weave the herringbone of Turin Shroud a loom of four pedals is needed (Virginio Timossi, 1942 et al.). And the problem is that such a loom is known in Mediterranean area just after the 4th Century when it came from China. 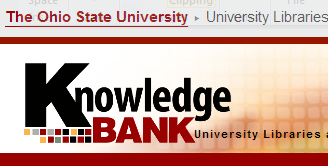 About this Fulbright says nothing. 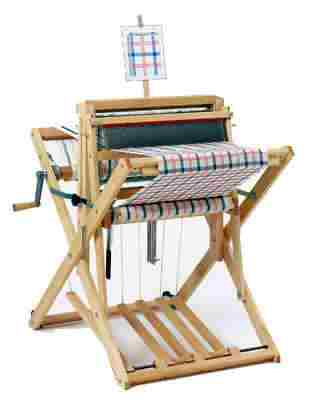 Picture is of a small, modern-day four pedal (treadle) loom.